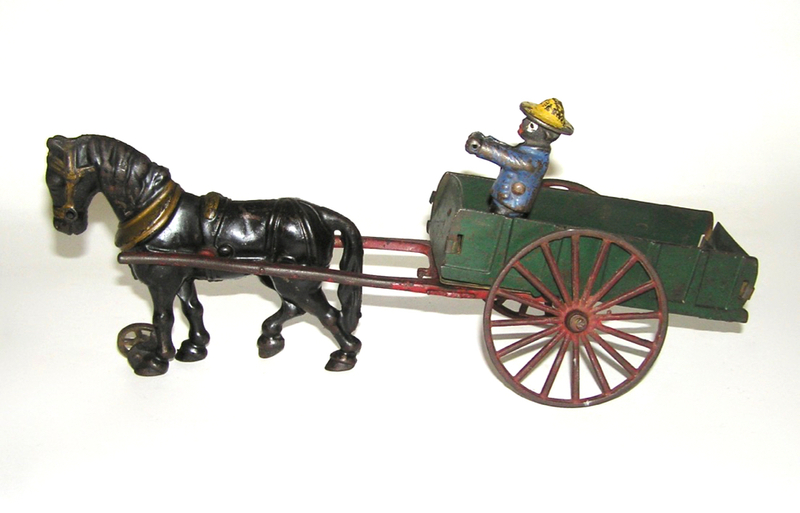 Here is a a really nice looking early toy for Hubley. 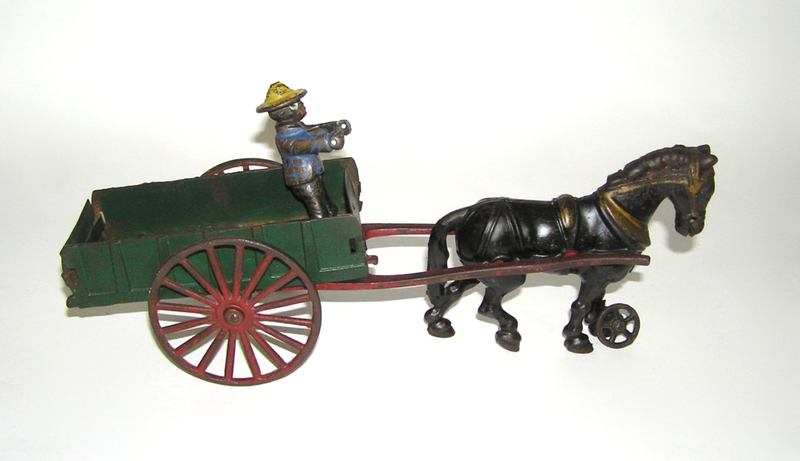 This is their horse Drawn Cart with standing figure. The toy measures approximately 13" long, horse is 6". It is made from cast iron with the cart deck from pressed steel. This one is in excellent condition for its age as you can see in the pictures. No breaks or cracks. 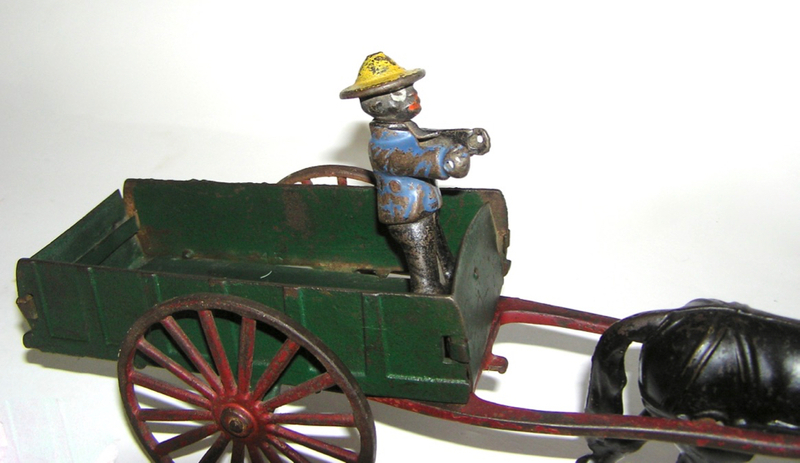 Driver is wonderful original cast iron figure that is standing on the rear deck. Paint is in good shape and original. 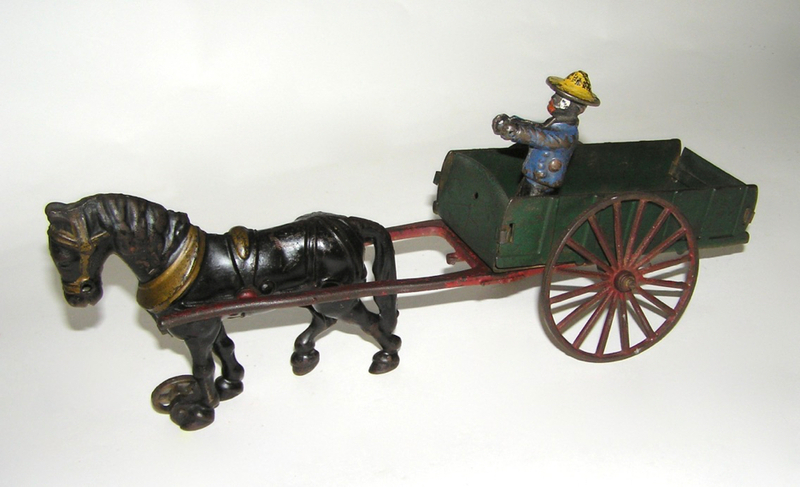 A neat Hubley toy - don't miss.